Obesity is preventable. Eradicating obesity, however, is very complex. The prevalence of childhood obesity in nearly every country around the globe is increasing at an unprecedented rate. Yet few countries have pushed this public health issue to the top of the political agenda. 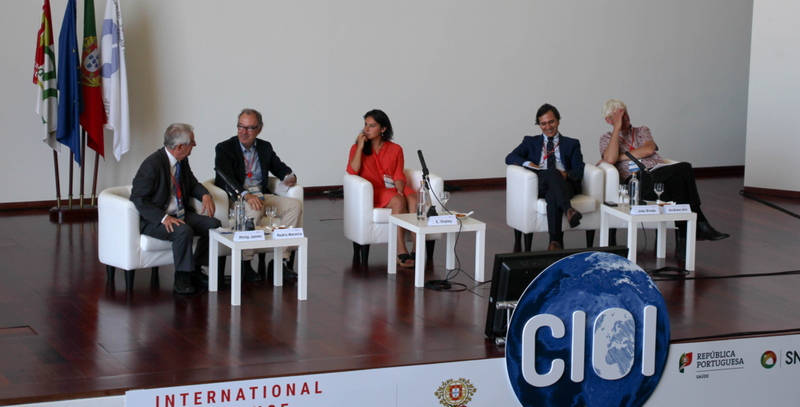 One of the most important forums for policy makers, experts and key stakeholders to hear about and discuss tactics for the prevention of childhood obesity, the International Childhood Obesity Conference (CIOI 2017- www.cioi2017.com), led by the National Institute of Health of Portugal was held in Lisbon, Portugal July 5-8. “During a time where many inequalities in obesity, physical activity and eating behaviours exist, with young people from low affluence groups generally more likely to report worse lower physical activity levels and worse diets, tackling Childhood Obesity together, is the key”, said Ana Rito, President of CIOI2017. At the CIOI, an internationally renowned group of experts covered everything from marketing of unhealthy food and the need for regulation to methods to increase physical activity in schools and the mental health aspects of childhood obesity. The problem with childhood obesity is clear: children that are obese are more likely to stay obese into adulthood, putting them at increased risk for noncommunicable diseases (NCDs) such as heart disease, Type II diabetes, and some cancers. Even today, however, some of these “adult diseases” are affecting children and adolescents. It is estimated that 1 in 3 children in Europe suffer from overweight or obesity, and that 170 million children worldwide are classified as overweight or obese. Low- and middle-income countries are experiencing a rate of increase in childhood obesity 30% higher than that of developed countries. The WHO reports that if current trends continue, 70 million infants and young children will be overweight or obese by 2025. Health professionals, entrepreneurs, psychologists, educators, and urban planners attended a series of lectures and debates and posed questions and ideas as to how to change the physical environment to promote a healthier lifestyle for children, particularly for the most socially disadvantaged. Childhood obesity is not plateauing, but instead increasing- particularly in developing countries around the globe. These countries are facing a health crisis of epic proportions, and urgent action from key stakeholders is needed. Keynote Speaker Tim Lobstein, the Head of Policy at the World Obesity Federation, also called for more accountability from industry in his lecture. He concluded with a call to action: The public must hold companies accountable for the deleterious health effects they are having on our children. Currently, children between the ages of 7 to 12 are exposed to approximately 40,000 television ads that promote HFFS products. Reducing said marketing is one of the core recommendations from the WHO’s Commission on Ending Childhood Obesity. Representing the WHO, Dr. Gauden Galea, the Director of the Division of NCDs and Promoting Health through the Life-course in WHO/Europe, and Dr. João Breda, the Head of the NCD Office in Moscow, were among the list of invited guest speakers. In his address, Breda called on Member States to restrict the marketing of HFSS foods to children in all forms of media. Self-regulation of the food industry’s marketing has proven inadequate, Breda voiced. Regulation limiting, or even banning, the marketing of HFSS foods targeted at children has commenced in Portugal under the leadership of Pedro Graça, a CIOI keynote speaker and coordinator of the National Program for the Promotion of Healthy Food in Portugal. Investigators now wait to see is if this bold initiative will change food consumption patterns in children, and therefore the nutritional status of children. Several interventions are using the school environment as the focal point for introducing children to nutritious foods and healthy eating behaviors. Providing free and nutritionally-dense school meals is an example, which has shown improvements in children’s cognitive abilities and health. School food policies to create healthier school food environments, such as removing sugar sweetened beverages from vending machines, has also successfully played a role in developing good habits in childhood and beyond. Physical education is implemented in most schools, but it was found that in some programs, children were only doing approximately 6 minutes of physical activity during this designated time, showing an opportunity to increase the efficiency and effectiveness of these programs. Increasing local safety, so parents feel comfortable letting their children walk or ride a bike to school, is another opportunity to increase physical activity in children. Shifting the public’s conversation from being worried about underweight children to overweight children is another obstacle, which Dr. Sanja Milanovi from the Croatian National Institute of Public Health discussed on the COSI panel. Psychologist Andrew Hill from the University of Leeds focused on the issues of improving self-esteem in children. Panel member Isabel Loureiro, from the National School of Public Health in Portugal, corroborated that argument saying that “Obesity isn’t just a problem of physical health - it’s also a problem of mental health.” Introducing this other dimension of emotional wellness gave attendees another perspective on how to create interventions targeting childhood obesity. A food revolution is needed to change the obesogenic environment and to ensure a better life for the future of children in every country around the world. Changing marketing practices, improving the school food environment, implementing “health-in-all-policies” to change consumption behaviors, and promoting physical activity and emotional wellness are some of the key takeaways from CIOI. Inspired and invigorated, leaders from CIOI will carry the aforementioned projects forward, while continuing to explore new ways to combat one of the most profound problems of the 21st Century.